When you need to get to a corporate meeting, luncheon, or other business function, Main Line Taxi and Limousine will provide you with a reliable, efficient and elegant transportation experience. We offer a selection of town cars, limousines and minivans to accommodate travel parties of various sizes at notably reasonable rates. 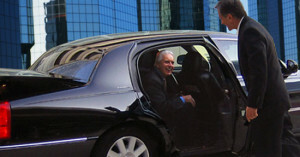 We value your time and strive to deliver the finest in corporate transportation. Main Line’s Limos upholds its reputation as one of Philadelphia’s best limo companies by bringing you to any destination in the Tri-State Area comfortably and in style. Whether you are located in Paoli, Downingtown, West Chester, or even Bryn Mawr, we have a car service ready for you. Our limo reservation agents are always available to help plan and coordinate your special events in Philadelphia and its surrounding areas. A few of the areas we proudly provide a car service for are King of Prussia, Downingtown, Paoli, Malvern, Wayne, West Chester, and Bryn Mawr. Main Line Limos is conveniently located in King of Prussia which is close to the Philadelphia Airport for faster and better limo services. If you are looking for Philadelphia airport sedan service, look no further! 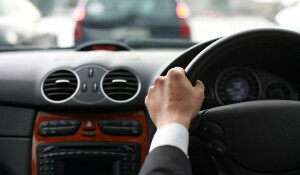 We provide excellent car service in Malvern and Wayne. Ground transportation can be a hassle, so keep it simple with Main Line Taxi and Limousine. Contact us to learn more about our many corporate services. It is our pleasure to answer any questions you might have and provide you with the quality service, class and elegance that make us truly distinctive. The next time you’re traveling to a business meeting, night out in Philadelphia, or the airport for a vacation or corporate trip, arrive in style with our line of luxury vehicles that provide optimal comfort.